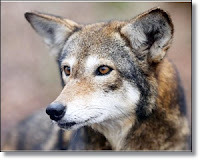 Feds Want to Shrink the Range of Endangered Red Wolves in N.C. The U.S. Fish and Wildlife Service proposed dramatic changes Monday to its 29-year effort in North Carolina to save endangered red wolves, including dramatically shrinking their range. An estimated 45 to 60 wolves – down from more than 100 in recent years – now roam five counties of northeastern North Carolina, much of it private land. Under the proposal, they would be limited to federal land in Dare County, in the Alligator River National Wildlife Refuge and the Dare County Bombing Range. The change would take effect by the end of 2017 after further studies and public comment. Conservation groups quickly condemned the proposal Monday. Wolves on private property would be removed and made part of a captive wolf population, which now numbers about 200 animals. The captive wolves include only 29 breeding pairs, which is not enough to sustain the population, the agency says. The service will identify potential new sites to release wolves into the wild by October 2017. Coastal North Carolina is now the only place where they run wild. The wolf recovery program has been hailed as ground-breaking for saving animals that were declared extinct in the wild in 1980. But wolves in recent years have faced a backlash, including growing numbers shot to death and mounting pressure from landowners to keep them off private property. 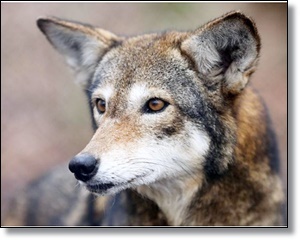 To read more on this story, click here: Feds Want to Shrink the Range of Endangered Red Wolves in N.C.